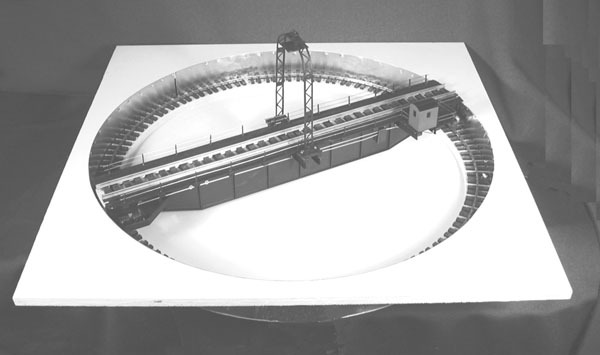 Construction: Bowser turntables (HO, O and S Scale) are made of 1/2" plywood with a brass pit wall. The wood is painted gray. The pit rail is installed and the wiring is complete. The center shaft, bearings and bogies are installed on the wooden bridge beam. The girder kit screws onto the side of the bridge beam and creates the appearance of a girder bridge. The motorizing kit mounts under the turntable and rotates the table. The bridge will accept any type of track consistent with the scale of the turntable. 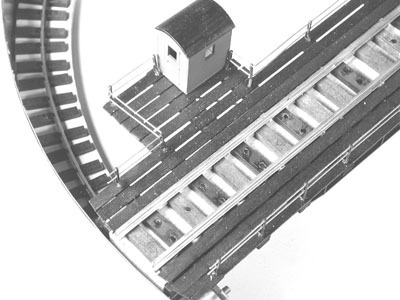 For this reason, the bridge track is NOT included with the kit. 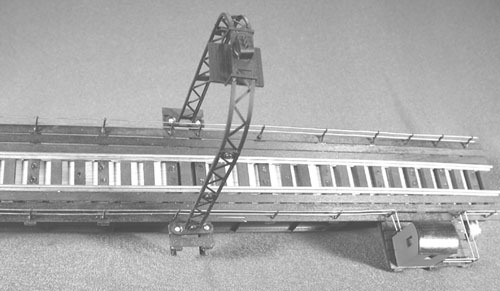 Application & Electrics: A turntable requires a square hole 2 inches larger than the bridge length and at least 6 inches of clearance under the layout. The motor requires an N or HO scale transformer (only controls the rotation of bridge) to move the bridge clockwise or counterclockwise. When the bridge is stopped it is locked in place. 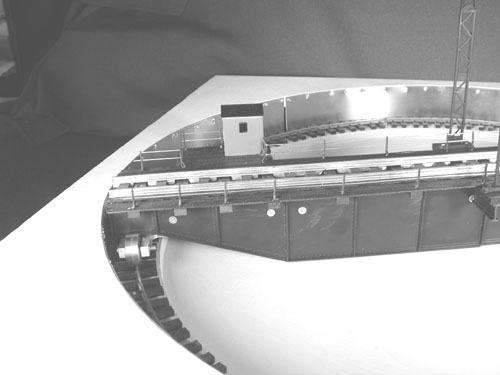 The transformer speed selector serves as device to move the bridge very slowly to allow good alignment of the bridge with each track stub along the turntable perimeter. This does require a level of skill to be developed by the operator to ensure that your locomotives traverse the bridge/stub gap gracefully. Automated Indexing: An automatic indexing system is an electro-mechanical add-on device (sold separately), that when properly installed, virtually guarantees alignment of the bridge/stub gap at each stub location along the perimeter of the turntable. Dallee Electronics manufactures such a unit. The Dallee "Indexer" can be set for an infinite number of discrete stops. 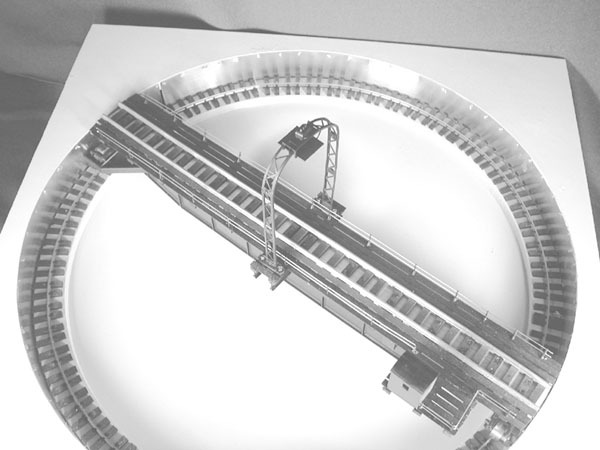 Since this unit mounts under your layout, it can be installed without removing your turntable from your layout. Turntable Indexing Kit by Dallee Electronics.